In this course, I have learned a lot about online communities and networks. They are not only a way to stay in touch with friends - what I mainly use them for. 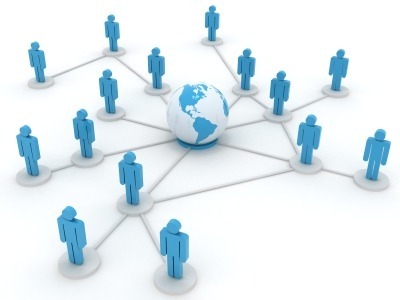 Online networks and the way you use them can be an important factor to one’s success. I’ve mainly learned that through our work with Children of Mexico. They use their offline networks as much as they can by involving friends or parents from their children’s school. Of course this is not enough for a NGO to collect a considerable amount of money and to really change something. But just setting up a website, facebook and twitter page doesn’t change the situation significantly. It’s not about whether you use online communities, but about how you use them. The content you post, how frequently you post something, if you interact with your followers or clients - those are the essential factors. And those points need to be adapted to your goals and target group. Define your goal - What do you use online networks for? Promotion, sharing information, staying in touch? Define your target group - Who should your website attract? Which kind of people would be interested in your cause, who could help you gettin further? Reseach on platforms - How can you reach your target group best and how can you achieve your goals? Not every platform is suitable to your needs! Stay active - Regularily post content, interact with people: No one will be interested in an inactive and (seemingly?) unlovingly treated site. Reflect - Which approaches were successful? How did people react? Even negative user feedback is helpful if you approach it the right way. You see, there are a lot of things to consider if you want to use online networks. Although seeting up a facebook page or signing up at a crowdfunding site may not seem difficult or like something you can just do in your 5 minute break, you shouldn’t treat it lightly. In order to successfully use your online networks you have to dedicate a lot of time to it and thoroughly plan and reflect on your actions.